When I was growing up, I learned how to garden from my mom in what we call a Peter Rabbit garden with all the plants in a row and bare soil everywhere. I never knew anything different. When I tried to start my own garden, it was dismal. I had small plants and lots of weeds. I have since then, learned techniques to grow a regenerative, no-till, low-maintenance, abundant garden. I want to share my experience with you. This summer you will feast on your very own vegetables. From starting seeds indoors to putting your garden to bed, and everything in between. Myself and Andrea Wilson of Big Table Stuga, will walk you through the entire gardening season. You can avoid common beginner mistakes, have support to deal with problems or questions, and have fun learning in a relaxed, social setting. When and Where: Classes are held every other week on Thursday nights from 6:30-8:30pm. 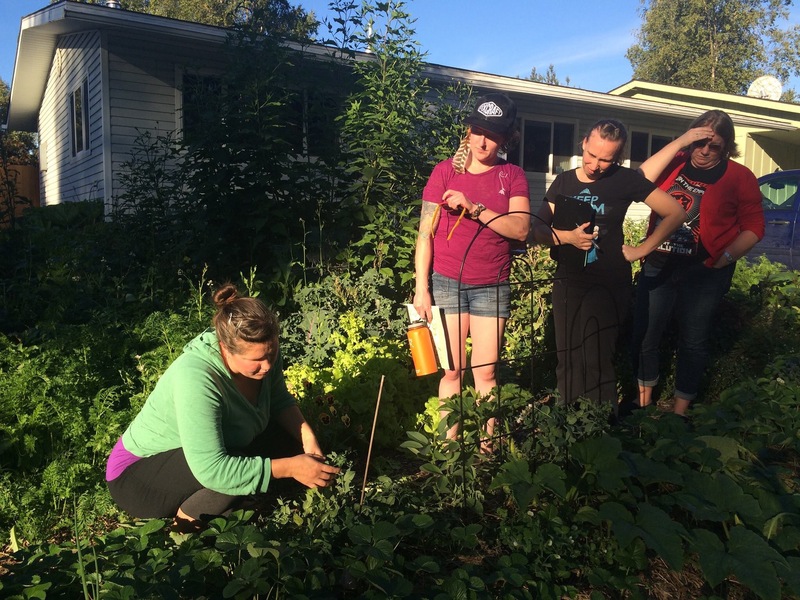 We will gather primarily at Andrea’s home in West Anchorage, with a few classes being held at my garden in West Anchorage. The address will be provided upon registration. Classes begin April 4th and run through September 19th. A total of 13 classes. This includes some basic materials you will need to begin your garden… seeds, trays for starts, starts, and more. You could feasibly grow your garden without spending another dime on it, and enjoy a summer of fresh, organic produce. Plus, you will walk away with the knowledge to be able to grow your own garden year after year. What else? This is a beginner class, however, more advanced students can benefit as well. For work trade opportunities, you can contact us via email at adriftgardens@gmail.com or bigtablestuga@gmail.com.